Seriously, you have a BS in tech and design and a MBA not sure what school you graduated from but you should see if you can get your money back…..
Lol I wish I could too, since I’m still paying it off. I’m not a software programmer, coding a website html PHP JQuerry css etc and the MBA project management and security and Ecommerce legal stuff etc is about the extent of my ability but it pays the bills (not this blog, but my day job). I’m not completely tech illiterate but I don’t like buying an expensive electronic and being expected to take weeks reading or watching stuff to be able to use it. Maybe I’m just spoiled by how pretty much every other consumer electronic device works, cellphone, computer, console, every other Streaming Media player, etc. Maybe my expectations are too high or I’m too lazy to put in the effort it takes to learn how to use the Shield. Also I was using puffin because the anime I wanted to watch was on kissanime and not on crunchy or funimation or similar apps. Later after the fact I realized it would’ve been easier to mirror my screen to the Shield using an app, although it adds the extra step of navigating to the site on my phone, computer, or tablet first. Oh gotcha I don’t watch anime so I can’t help u out there but I’m sure there’s apps that have it and u just don’t know it yet. There’s all types of support groups on Facebook where u can get all these answers also. Just saying. Good luck. This article is complete garbage. Everything about it screams dumbass. Not garbage, just a different opinion. Many things were quite accurate, my unit didn’t work right out the box, had to call NVIDIA tech support who through hours of trouble shooting everything eventually got it to get past the “generic error” (literally the error message), then after which, many apps on google play store are not compatible with the Shield including google chrome, and popular movie streaming apps such as TLCGO. My experience streaming games on NVIDIA GeForce Now was laggy but I did disclose that my internet connection is not the best. I’m glad you’re enjoying your Shield, mine just didn’t meet my expectations, I won’t be using it for anything except GeForce Now, as watching tv and movies is easier on other media players, and for me personally I don’t have a plex server or other reason to use the Shield. Why you review something you don’t understand? The shield are very good but maybe not for beginners like you becuce you need to setup the shield for your TV and soundsystem. We people that have shield know that you talk not right so please have the shield 1-2 week and then you open yours eyes. Just because you’re not tech savvy doesn’t mean your review is accurate at all. 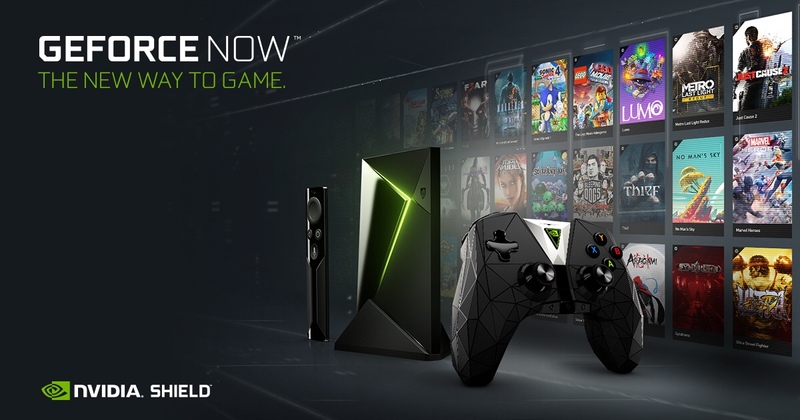 Anybody who would say a low end roku is superior to an nvidia shield doesn’t have a clue what they’re talking about. Might want to learn more about what the devices can do, and how to get them to do that before you wrote an article on such equipment. Gaming edition? I’ve owned both variants of the shield tv but never heard it referred to as that. The only difference with the 2017 shield and “gaming edition” shield is it comes with a controller. Yeah, no way in hell. Shieldnis the best on the market. Edit to my above comment I forgot to mention the benefits of Shield with Google Assistant making it good for those who want smart home automation or those who like using very advanced voice commands while watching movies such as getting information about the actors or directors etc. I sadly have no interest in home automation and only use basic voice commands like turn on, search, rewind, play etc. The shield has some benefits but it’s not for everyone.